I love watching my garden wake up in the early morning hours of the summer. As the sun readies itself to crest the eastern ridge, birds and bees and small mammals are beginning to stir. Like many mornings, I am captivated this morning by the mullein plants. In this late summer moment, their stalks of creamy yellow blossoms reach into the air, stretching up taller than I am. Mullein is full of life. A hummingbird is visiting the nearby honeysuckle and its path crisscrosses those tall stalks. A woodpecker, intent on its foraging, doesn’t seem to notice. It goes up and down the stalk, perhaps eating the ants and other bugs as well as eating some of the millions of seeds that are forming. One morning, while I was harvesting strawberries, I found a whole family of voles underneath the thick mullein leaves. The babies were small and hairless, probably only a few days old, the large leaves perfectly curled over their nook, offering a beautiful refuge from the world. Whether you are considering mullein’s stature, its important role in the greater ecosystem, or its gifts of medicine, it’s hard not to be impressed with this beautiful plant. Originally from Europe and Asia, mullein species have spread all over North America. They love disturbed soils with lots of sunlight. They can grow in rich garden soil as well as gravelly roadsides. The easiest time to find and identify mullein is in the later summer months and fall, when those tall flowering stalks become a beacon. Some folks think of mullein as a weed, an uninvited guest from faraway lands. Perhaps because of its stature, mullein is an easy target for misplaced hatred or at least misunderstanding. It’s a strange thing that humans disturb soils and habitats and then blame the plants that come to nourish and heal the bare earth. Mullein, as generous as ever, offers many gifts and virtues to humans. My hope is that fewer people see mullein as an unwanted guest and more as a bountiful herb that we are lucky to have. This past summer much of the western United States was choking on a constant cloud of thick smoke. Looking at a map of current wildfires made it seem that everything from Montana to California was on fire. In my own valley, the air quality was often listed as hazardous, with the recommendation to avoid going outside. Local emergency services handed out masks. A friend of mine with a newborn baby rarely left the confines of her house for months. Not everyone can stay inside, however, and it wasn’t long before I started getting calls from folks wondering what they could do to protect their lungs. Mullein leaf has long been loved for soothing the lungs and quelling coughs. It is a mild relaxant to the lungs and also a mild demulcent. It soothes inflammation and dryness – often the causes of irritation for people with smoke exposure. In addition to the leaf, mullein flowers can have an added benefit to these dry irritated conditions. I often combine it with another demulcent such as mallow (Malva neglecta) or marshmallow (Althaea officinalis). Mullein is wonderful for coughs and lung inflammation from all kinds of irritants and pathologies, whether it is particulate matter in the air or symptoms from asthma or an upper respiratory infection. Once you experience mullein’s ability to soothe the respiratory system, you’ll be amazed at the power of this ubiquitous plant. Yet it is a gentle herb that is safe for children and the elderly. Mullein leaf is best when the cough is dry, irritating and unproductive, with a definite lack of mucous production. 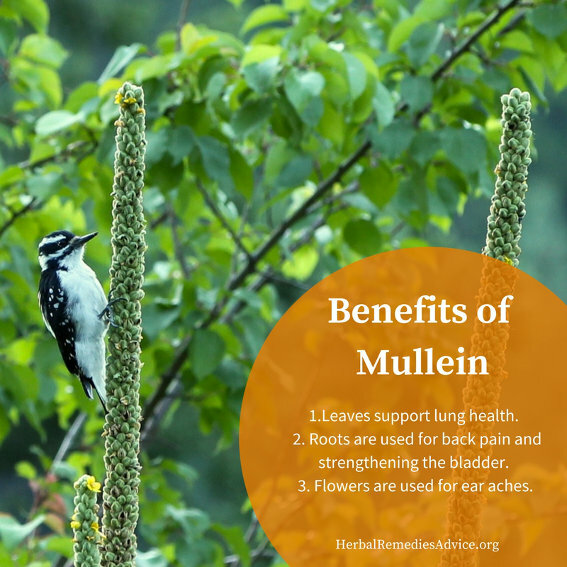 As long as the symptom pattern of dry, irritated and inflamed lungs fits, consider mullein for any type of cough, as a tea, tincture, or even inhaled as smoke or vapor. Mullein leaf is commonly used by herbalists to aid those who want to quit smoking. It is often recommended to take the tea or tincture internally to support the health of the lungs, while concurrently using it as a smoking herb to assist with the desire to smoke something. And while it sounds a bit counterintuitive, inhaling mullein smoke is a way to directly get mullein’s relaxant qualities to the lungs, to relax constrictions and aid in stopping a cough. Like anything, this method can be overdone, but when you get it just right it can have dramatic and quick results. Mullein leaf is nutrient dense. When prepared as a nourishing herbal infusion, you can drink it frequently, not only to support lung health, but also to benefit from its high levels of calcium and magnesium4. Mullein’s roots dig deep into the earth, bringing minerals and metals into its leaves. While this can result in nutritive leaves, mullein also has the ability to uptake heavy metals, which could pose a health hazard for humans if the soil is contaminated but also have positive benefits for the soil. 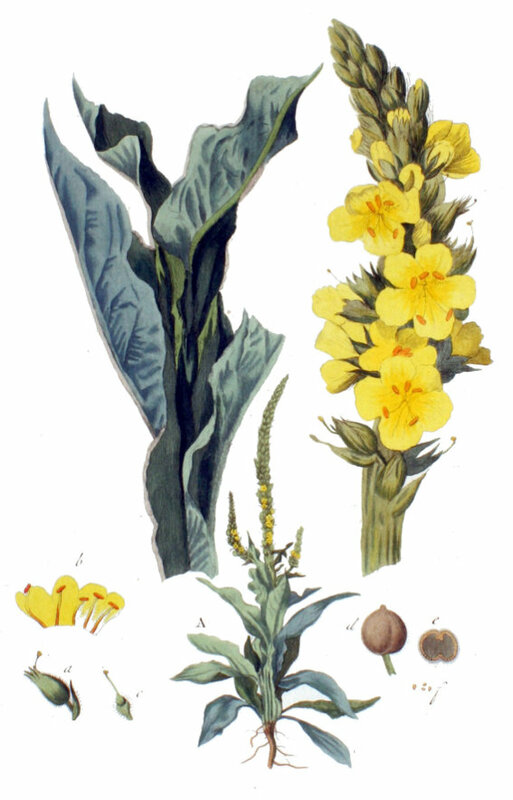 Mullein is generally regarded as safe; however, it always is important to harvest plants from healthy soils and to resist the temptation of the roadside mullein plants. Mullein boasts large hairy leaves that can feel like thick dense wool. The complex web of plant fibers covering the leaves protect the plant from the strong rays of the sun. These same plant fibers are a bit irritating to human skin, which can be annoying, medicinal, or both. When processing a lot of mullein leaves you may want to wear gloves. The action of irritating the skin is called rubefacient. This irritation dilates the capillaries, increasing circulation to the area. This has a wide variety of therapeutic applications. Used on the chest, mullein leaves can help move stagnancy in the lungs, increasing a healthy thin mucus that can be readily expelled. And if you are simply interested in seeing a rubefacient work, try rubbing the fresh or dried leaves on your skin to see the results. It was reportedly used as blush substitute in communities where make-up wasn’t allowed. 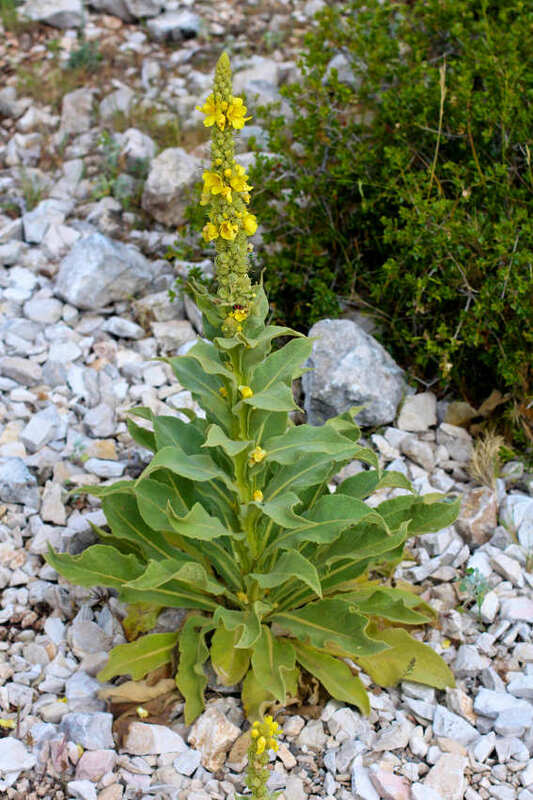 There are many historic references to using mullein leaf externally on painful and rheumatic joints. In addition to back pain, mullein root is also used to address a variety of urinary incontinence issues, including stress incontinence, pregnancy incontinence, menopausal incontinence, and childhood incontinence. It can also be used to assist those with interstitial cystitis and benign prostatic hyperplasia (BPH, enlarged prostate).11 For more information about mullein root uses for incontinence see Christa Sinadinos’ article in the references. Mullein root strengthens the bladder muscles. 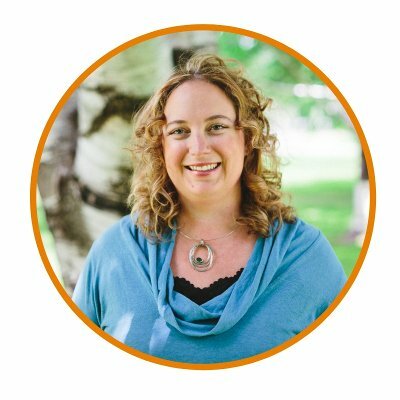 I am no longer a moon woman, having passed over the moon a few years back. Other than an occasional hot flash, I experienced no other discomforts associated with my new state of being ~ except, when I laughed too hard, tears rolled down my legs. Mullein root took care of that problem! Harvest the first year root, preferably in autumn, clean it well and dry it. Then grind it to a fine powder in a coffee grinder or blender and fill #00 capsules with the powder. Take two with each meal for six weeks. This is also excellent for children with weak bladders and the embarrassing side-effect of wet beds. Mullein’s biggest claim to fame is as an earache remedy. 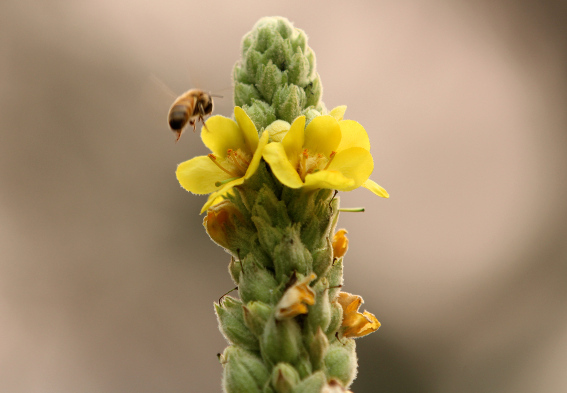 Mullein flower infused oil is commonly found in health food stores and apothecaries. This historic use is backed up by the experiences of countless present-day parents and children. While it is sometimes use as a simple, it is often combined with garlic and/or St. John’s Wort in the infused oil. Mullein flower infused oil acts as an anodyne to take away the pain of the earache, while also exerting lymphatic action on the area around the ear to help resolve the infection. A small bottle of the oil can be warmed in a warm water bath until the drops are about body temperature; then a few soothing drops can be placed in one or both ears and guarded with cotton balls. 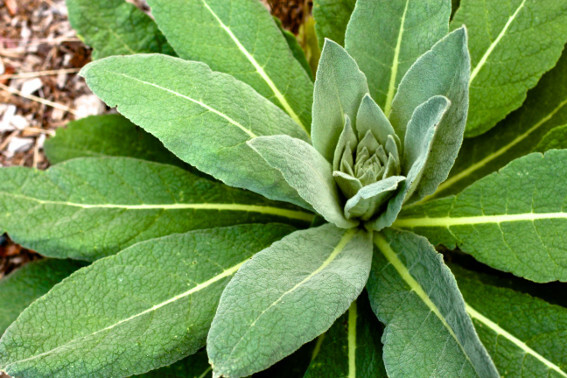 Benefits of Mullein as an AntiViral? Great mullein, Verbascum thapsus, is the most common species of mullein that is readily found in North America. There are other species that are used similarly, such as V. virgatum, V. densiflorum, and V. olympicum. These two latter species have flower stalks that are denser than V. thapsus, making for an easier flower harvest. Medicinal seed suppliers often carry these other species. The following describes V. thapsus. Mullein loves to grow in disturbed soils. It prefers sun and can grow in poor, gravelly soils. Mullein is a biennial plant, meaning it takes two years for it to complete its life cycle. In the first year, a large basal rosette of silvery green and hairy leaves appears. By the late summer and fall the leaves can be very erect and easily up to a foot in length. In the second year, it sends up a long flower stalk. The bottom of the stalk will have leaves growing alternatively and becoming smaller with height. The stalk then transitions to yellow flowers. The height of this stalk can reach two meters or more. The flowers have five petals and five stamens. They start blossoming at the base of the stalk and then bloom progressively up the stalk. The flower stalk darkens to brown in the fall and often persists through the winter and even into the next year. Mullein stalks produce millions of tiny seeds that will persist in the soil for hundreds of years. The roots are thin, branched taproots with a creamy color. 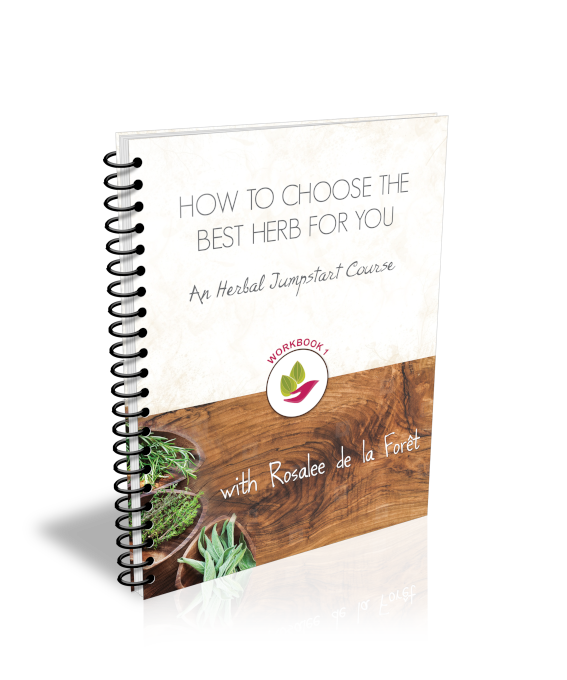 The first step to making herbal preparations is harvesting the desired part at the right time. Because mullein is a biennial plant (taking two years to complete its life cycle), leaves and roots can be harvested at the end of the first and beginning of the second year, while flowers can only be harvested from the second year. Mullein often grows in colonies – where you find one mullein plant you find many! It readily spreads by seed and its many seeds stay viable in the soil for possibly hundreds of years. While mullein is not an endangered plant and it would be difficult to negatively affect a population, I still approach it with admiration and respect. There have been times when friends have offered to let me weed their garden of mullein; in those cases I harvest the entire plant. However, when harvesting leaves and flowers in the wild, I harvest here and there to ensure a thriving population. If you live in an area where mullein is not abundant, then it will be especially important to harvest in a way that supports further plant growth. Harvest mullein leaves when they are fresh and vibrant looking, ideally when the leaves are still in a basal rosette. The best times are in the fall of the first year’s growth or in the spring of the second year, before the flower stalk starts to grow. In a pinch, the leaves can be harvested from a plant with a flower stalk. When harvesting the leaves, take a few from a single plant, leaving plenty to ensure the continued life of the plant. Harvest the roots during the fall of the first year plant or the spring of the second year plant. It’s not ideal to harvest the roots after the plant has gone to flower or seed. Harvest the flowers one by one as they appear on the flowering stalk, ideally harvesting from a plentiful patch of mullein, taking a couple of flowers from each plant. You may need to visit a mullein plant on numerous occasions to get enough flowers. Dry the leaves for use in teas, nourishing infusions, or as a smoking or vaporizing herb. Strain teas through a coffee filter to avoid ingesting irritating hairs. Leaves can be applied topically as a poultice. Whole/flat leaves can be frozen to preserve them as future poultice material. Fresh or dried leaves can be used in an alcohol extract. Fresh Leaf Tincture: 1:2, 50-60% alcohol. Chop and dry for use in decoctions. Chop, dry, and powder for use in capsules. Fresh or dried root can be used in an alcohol extract. Dry the flowers for use in teas. Infuse fresh or freshly dried flowers in a carrier oil for earache remedies (olive oil is nice). Fresh or dried flowers can be used in an alcohol extract. The above dosage suggestions and tincture ratios were compiled from Michael Moore (Medicinal Plants of the Mountain West) and Christa Sinadinos. The Botanical Safety Handbook gives mullein its highest safety rating. The dense wooly hairs on the mullein leaves can be a bit irritating. When garbling lots of mullein leaves, you may want to wear gloves. When drinking an infusion of the leaves strain it through a coffee filter or several layers of cheesecloth to remove any hairs from the tea. Mullein is a hyperaccumulator of heavy metals. Be certain that the mullein you are harvesting and using comes from healthy soils that aren’t contaminated with metals. Mullein oil should not be used in ear canals if the eardrum has been perforated. Williamson, Darcey. Healing plants of the Rocky Mountains. McCall, ID: From the Forest, 2002. Class Materials from Robert Dale Rogers. Čudić, Vladica, Dragoslava Stojiljković, and Aleksandar Jovović. "Phytoremediation Potential of Wild Plants Growing on Soil Contaminated with Heavy Metals." Arhiv za higijenu rada i toksikologiju 67, no. 3 (2016): doi:10.1515/aiht-2016-67-2829. Cook, Wm. H. The Physio-medical Dispensatory: A Treatise on Therapeutics, Materia Medica, and Pharmacy, in Accordance with the Principles of Physiological Medication. Cincinnati: Wm. H. Cook, 1869. 106.
mcdonald, jim. "Mullein." Herbcraft. 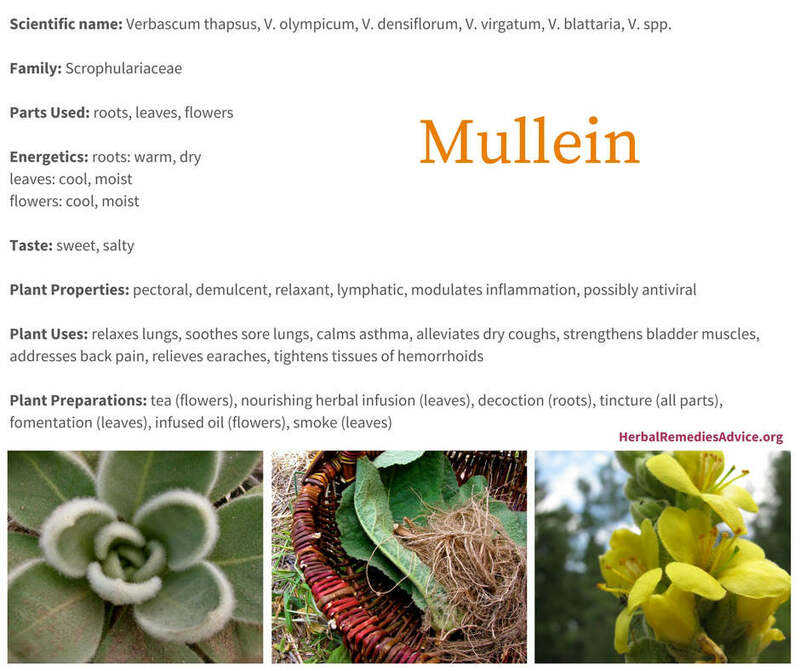 Accessed September 26, 2017. http://www.herbcraft.org/mullein.html. Sinadinos, Christa. 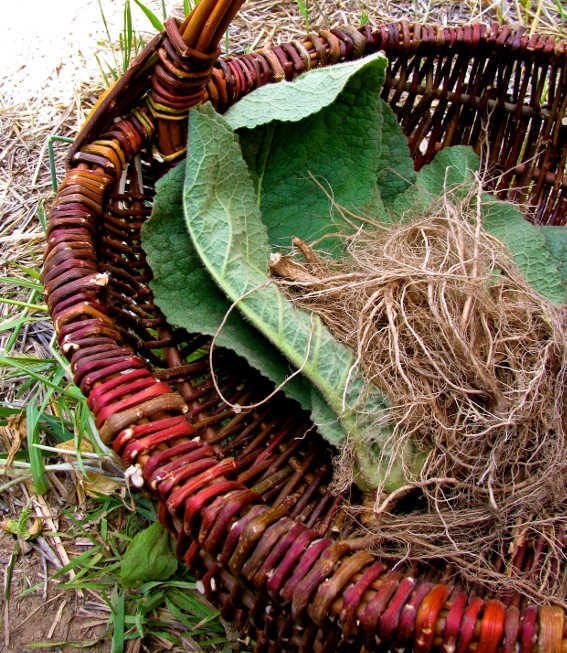 "Medicinal Uses of Mullein Root." Medical Herbalism: A Journal for the Clinical Practitioner 16, no. 2. Accessed September 26, 2017. http://medherb.com/eletter/Mullein-Sinadinos.pdf. Slagowska, A, I Zgórniak-Nowosielska, and J Grzybek. "Inhibition of Herpes Simplex Virus Replication by Flos Verbasci Infusion." Polish journal of pharmacology and pharmacy 39, no. 1 (1987): 55-61. Rajbhandari, M, R Mentel, P K Jha, R P Chaudhary, S Bhattarai, M B Gewali, N Karmacharya, M Hipper, and U Lindequist. "Antiviral Activity of Some Plants Used in Nepalese Traditional Medicine." Evidence-based complementary and alternative medicine: eCAM 6, no. 4 (2009): doi:10.1093/ecam/nem156. Zanon, S M, F S Ceriatti, M Rovera, L J Sabini, and B A Ramos. "Search for Antiviral Activity of Certain Medicinal Plants from Córdoba, Argentina." Revista latinoamericana de microbiologia 41, no. 2 (1999): 59-62.